It’s everyone’s favorite pink ball of cheerfulness! 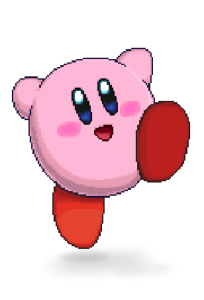 Hailing from the planet Pop Star, Kirby comes with the set of abilities and the charm he’s become famous for. 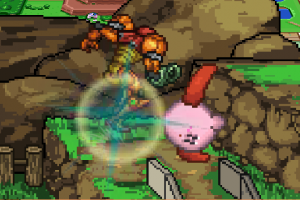 Kirby’s defining trait is his ability to inhale his opponents and steal their moves. Make sure to try inhaling every character you see to find out which power you like best! Copyright © 2003-2019, McLeodGaming Inc. All Rights Reserved.